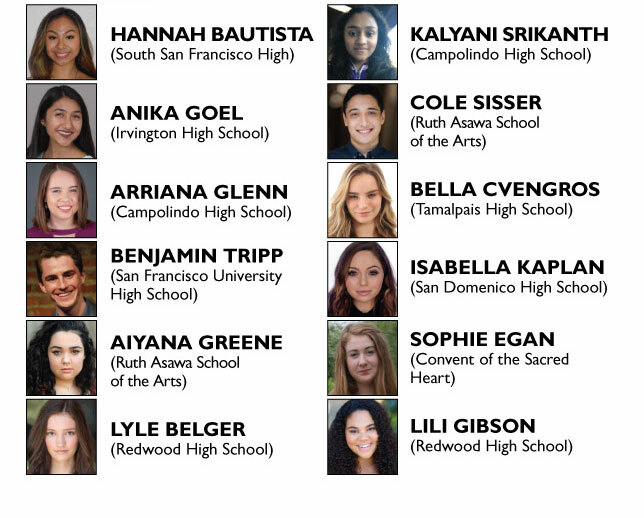 Sunday, April 28 - 3 p.m.
Bay Area Cabaret is thrilled to present its fifth Bay Area Teen Idol vocal competition, showcasing twelve of the Bay Area's most talented high school students. At 3 pm on Sunday, April 28, twelve young singers will perform in the Fairmont San Francisco's legendary Venetian Room for a panel of industry experts, and have the chance to earn cash and performance prizes. The winners of Bay Area Teen Idol will be chosen by a combination of audience and judges' votes. So come vote for your favorite and help us choose our next Bay Area Teen Idol! Bay Area Teen Idol is a program of Bay Area Cabaret, Inc., a 501(c)(3) nonprofit organization. Ticket sales cover less than half the cost of hosting this community outreach event.